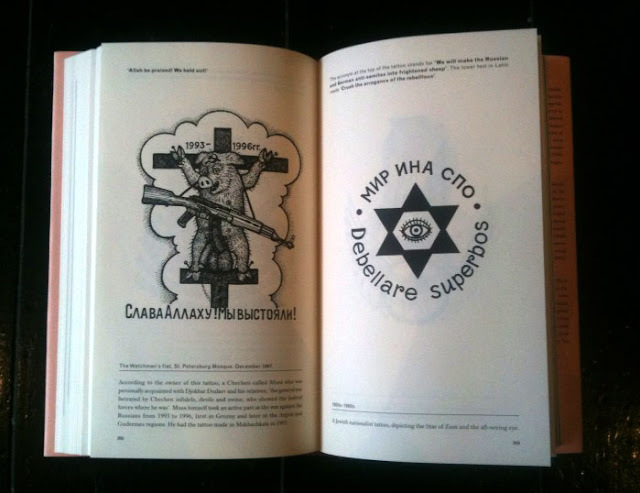 Every now and then a book comes out that illuminates a part of the world that was not only previously hidden but which could not even be imagined. 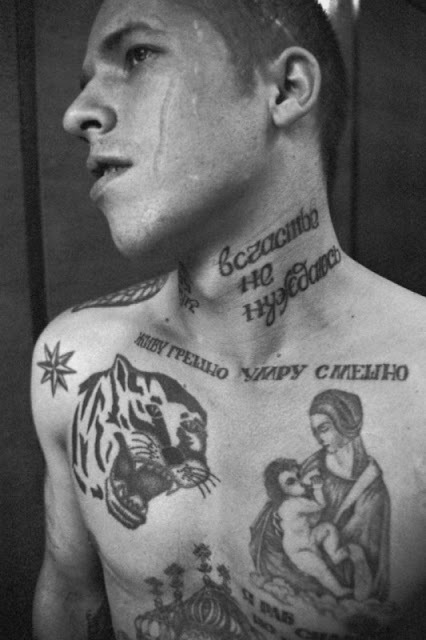 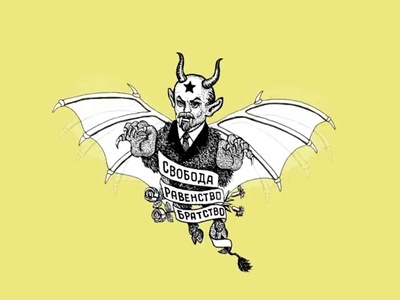 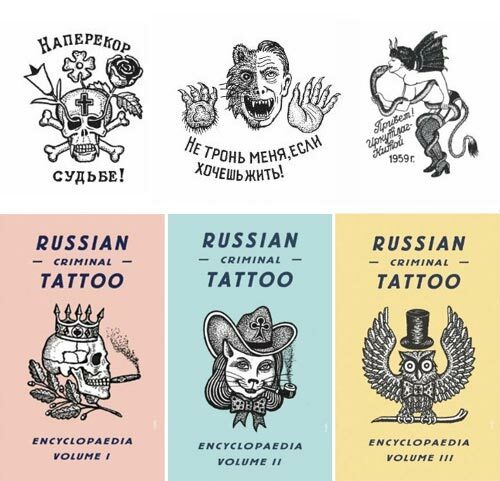 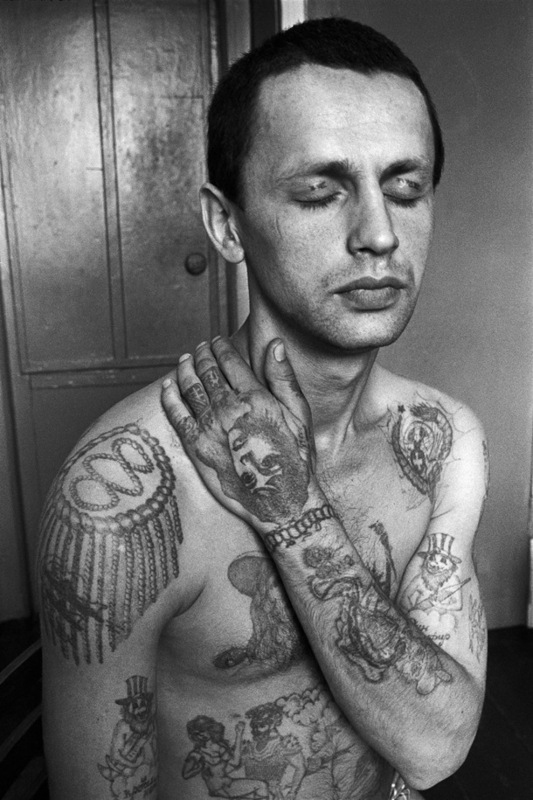 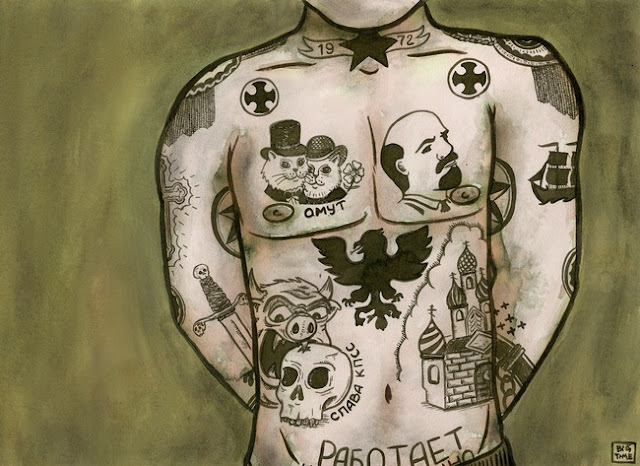 Such a work is the _Russian Criminal Tattoo Encyclopaedia_ (Steidl / Fuel), featuring mostly the drawings of tattoos by Danzig Baldaev, with photos by Sergei Vasiliev, and an explanatory essay by Alexei Plutser-Sarno. 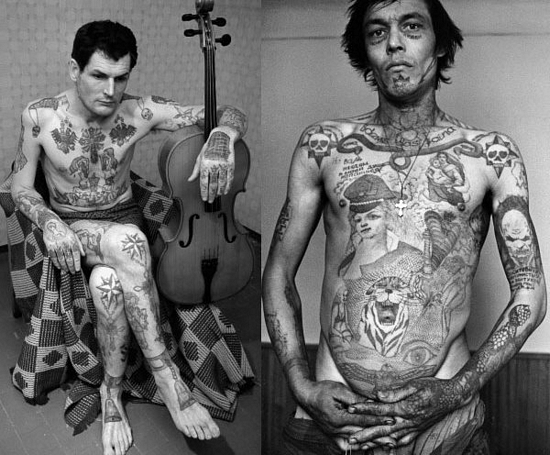 In these photos and tattoos, which I guarantee you are like nothing you have ever seen before, are reflected the horrors of Russia written on the skins of criminals. 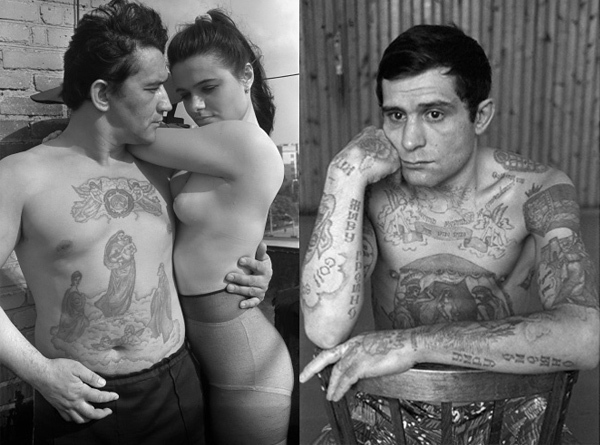 As strange as the pictures are, they are not so foreign as to eliminate sadness and tragedy; this is a book of devastation on many levels, and anyone flipping through the images will be enlightened about a very distant world, but also will be distressed and mystified.